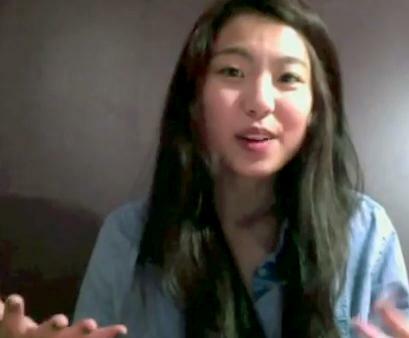 SESP sophomore Frances Fu is pictured above in a video discussing drug-related policies. Fu posts videos to her YouTube account on behalf of Students for Sensible Drug Policy. Behind Frances Fu’s petite frame and dimpled cheeks is a tough backbone dedicated to the legalization of marijuana. Fu is the co-founder and president of the new Northwestern chapter of Students for Sensible Drug Policy, an international student-run grassroots organization that promotes education about drug policies and ending drug wars. NU’s first SSDP chapter closed in 2009 after two years on campus. But Fu, a SESP sophomore, began working during her freshman year to bring the organization back. “I came to Northwestern believing that marijuana should be legalized, but I wasn’t really sure if I was going to do anything about it,” she said. After spending a weekend at an SSDP regional conference at Roosevelt University and learning about how the war on drugs affects higher education, youth and minorities, she saw a place for SSDP at NU. To measure student interest and opinion, she sat for three hours last Fall Quarter in Foster-Walker Complex striking up conversations with students. She also created a Facebook group. Over the next few months, Fu teamed up with other students, including NU SSDP co-founder Drew Lu, a Bienen junior who Fu said is taking a leave of absence from school this year. Currently there are six core members in SSDP who have hosted firesides and film screenings over the past two quarters. Fu asked Weinberg Assistant Dean Mark Sheldon to be SSDP’s faculty adviser after hearing him talk about the legalization of marijuana in relation to law and morality in class. He said he agreed to be the group’s adviser after Fu impressed him with her presentation and convinced him of SSDP’s focus. “I said, however, that somehow, if it was an opportunity or excuse for Northwestern students to get together and have parties and smoke pot, that’s not something that I was interested in at all,” Sheldon said. After taking a training course for Sexual Health and Assault Peer Educators, Fu was inspired to start a similar course focused on drug policy. SSDP worked with Sheldon to organize a pass-fail, student-run seminar this Winter Quarter with Sheldon and sociology professor Christian Ukaegbu as faculty consultants. Each week, students will take turns leading discussions. “Without really getting a holistic picture about how drugs affect you, how drug abuse affects the community, you can’t really get anywhere,” Fu said. The national SSDP organization is focused on a recent increase in raids and shutdowns of medical marijuana farms and dispensaries in California, a result of tension between state and federal law, according to SSDP intern Maryam Mahmoud. Despite these federal efforts, there has been a steady increase in SSDP college chapters, Mahmoud said. There are more than 125 American chapters and more in Canada, Australia, Nigeria and the U.K.
“The reason why there is an increase of chapters is just because people are becoming more open to the idea, and there’s becoming less of a bad stigma around it,” she said. Out of the upcoming course, Fu said she hopes to recruit educated and passionate members equipped to present at firesides, possibly work with University Health Services and participate in other University-sponsored drug-related programs such as AlcoholEdu.